This Kaholo stand-up paddleboard and Bolger Pointy skiff are just two of the boats that Jed Lavoie has built. 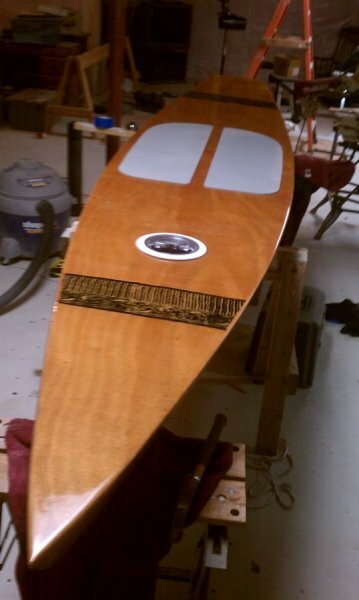 He built the paddleboard (plans from Chesapeake Light Craft) from okoume plywood, sheathed with fiberglass and epoxy. 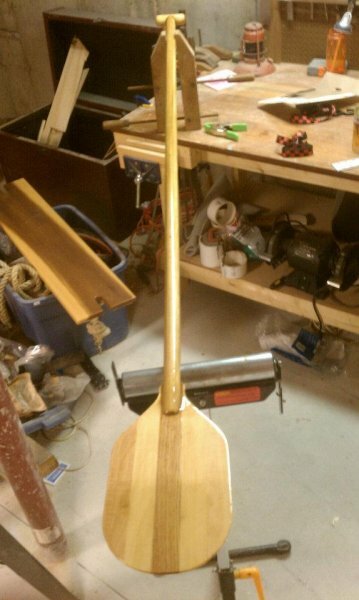 The birdsmouth paddle is made from spruce, cedar, and mahogany. 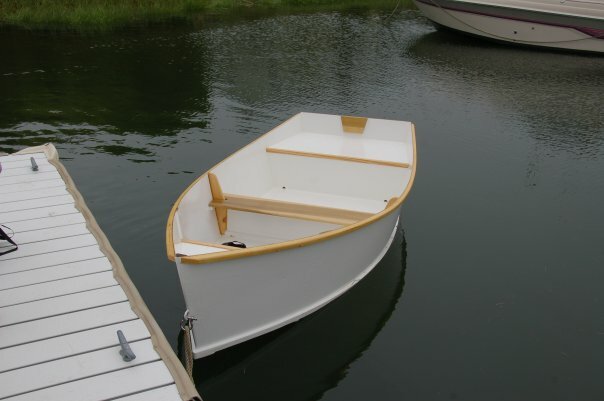 Jed made the Pointy skiff from exterior-grade plywwod sheathed in fiberglass and epoxy. Then he painted it with Glidden porch paint. 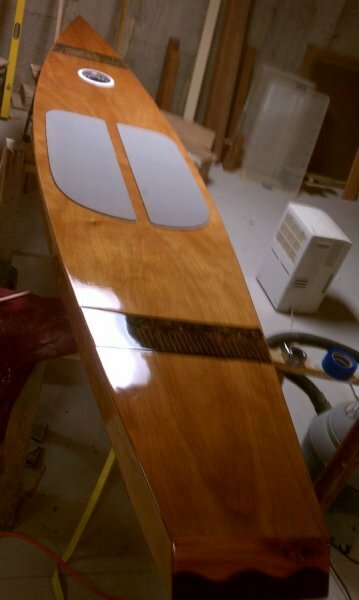 Jed is currently building a Chesapeake Light Craft Wood Duck 10 kayak and a Bolger Bobcat.